Rick Warren clearly does not know his history. The Protestant evangelist and best-selling author of The Purpose Driven Church, recently called on protestants to unite with Pope Francis, whom he has referred to as “the Holy Father.” This news came in the same week as the Ecumenical Patriarch of the Orthodox Church in Istanbul expressed his commitment to church unity during a papal visit to the former capital of the Eastern Roman Empire. In the article, Warren defends the Catholic practices of worshipping Mary and a myriad of saints, saying that Protestants just do not understand what the church is really teaching. America’s founders would be appalled. This anti-Catholicism did not end with the formation of the United States. Anti-Catholic riots continued well into the twentieth century. In 1960, anti-Catholic feeling was a factor in the presidential election, which resulted in the first Catholic president, John F. Kennedy. Concerns were expressed that his loyalty would be to Rome rather than the American people. Does all this matter any more? For more than a thousand years, the Church of Rome ruled despotically over the nations of western Europe. 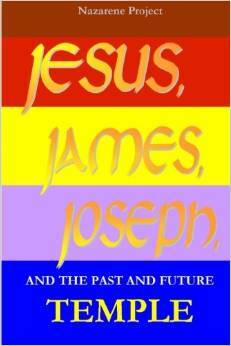 The beliefs of the church were and remain unbiblical and even anti-biblical. The Bible was a forbidden book, denied to all but the priests and most priests could not read. The struggle for religious freedom and for the Bible itself took centuries. Brave men like William Tyndale, were put to death by the Church for trying to give the people access to the scriptures. Even repeating the Lord’s Prayer in English was punishable by being burned at the stake. There was a gradual proliferation in the number of church denominations after the Protestant Reformation. The greater number of denominations eventually led to religious toleration, especially in Britain and its colonies. Our ancestors on both sides of the Atlantic fought for centuries to be free of Catholic despotism. The first British settlers chose to settle in what they named James Town as it was hidden from the sea, from Catholic navies that would kill them all if they could find them. Eventually, it was the British Royal Navy that secured the Protestant ascendancy and guaranteed religious freedom. We should all be thankful for competition in the religious marketplace. If there were only one supermarket chain, the price of everything would go up. If there was only one church organization, human nature being what it is, we would pay an awful price in loss of freedom and the despotism that would follow. The Church of Rome may appear to be an angel of light but in the right circumstances it could revert to its old ways. II Corinthians 11:14 warns: “And no wonder, for Satan himself is transformed into an angel of light.” Our ancestors understood this. 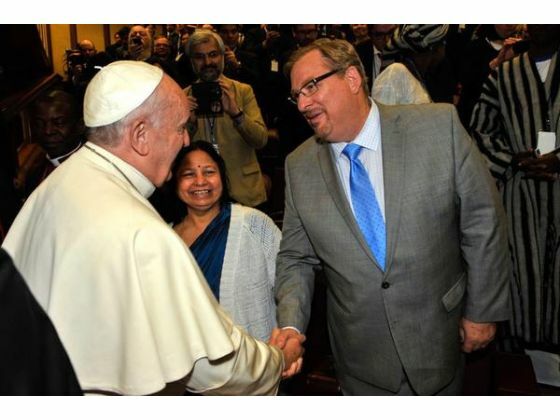 I hope Rick Warren (and the Pope) will do a rethink on church unity.